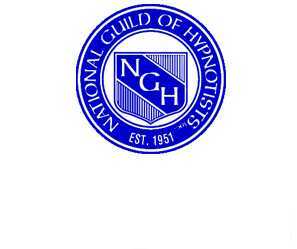 I have often been asked what hypnosis is. The first answer I give is a question. The answers I get vary every time, from, “I do not know”, to many weird, wild and wonderful explanations. Probably the first thing I say to people is that there is no such thing as hypnosis, it does not exist, it is just a name given to a natural occurring state in which we all go into many time a day. You have probably travelled on a train or, on a regular journey, going to work or school, or just going about your business. You have seen the same trees pass you by, the same buildings many times. Have you ever travelled on the Underground, the Metro? Through the darken tunnels, where everything looks the same? And, as you travel along you start to think about what you are going to eat, what you are going to wear that night, for a party, or that holiday you are going to take. Then, you look around and wonder what station you are at, or what junction you have just past. You have been in a trance. Yet, you were in full control. If you were driving and an emergency had arisen, for example a child had walked out in front of you, or a car had pulled out without seeing you coming, you would have taken the appropriate action, you would have been in control. So you would be in a hypnotic state. “A horse, a horse, my Kingdom for a horse”. And if I asked you at the same time, to stand in the middle of the street and take all your clothes off, would you do it? No, you would not. It would probably be too cold for you. So, in a hypnotic trance it is the same, you would not do anything, that is against your beliefs, your culture, your religion, you are in complete control. It is a myth that you are under the control of the hypnotist, perpetuated by movies, where the spy master telephones the normally placid clerk in an office, and says the magic words, “the clock strikes three”, and the clerk’s eyes mist over, he stares out into deep space, opens his briefcase, takes out a Colt 45 gun, walks out of the office into the street, and shoots the victim dead, then the clerk awakens, and stands there wondering what he has done. Many Government agencies have tried to achieve such states, but they have failed with hypnosis. What they have achieved, is to get people to do things through brain washing, a (technique, which is outside the scope of this work), has been used in the past, and even today, by some countries to control their populations and individuals, by organisations and by religion. We only have to look at certain organisations today, where individuals blow themselves up for their beliefs, killing others for no other reason but the belief that they will enter the gates of heaven. Was those beliefs placed inside their heads by hypnosis? No, simply by brain washing them to believe over a period of time. But what about stage hypnosis I hear? Firstly, have a look at the section written about Expectations. (Click to view) Stage hypnosis is all about expectations, and not control by the hypnotist. Remember, the hypnotist cannot make anyone do something they do not wish to do, or anything against their beliefs, their culture their religion, they have to be willing to do, you are in control. Can I ask you, what are people expecting to see when they go to see a Stage Hypnotist perform his show? They are expecting to see people do funny things on the stage when asked to do so by the hypnotist. They are expecting the “stars of the show”, to be milking a cow, to be speaking like a Martian, to act like someone they are not in funny situations. That, they will be “under the control” of the hypnotist. Expectation is a very important role of hypnosis. This is not the place to analyse the set-up of a stage hypnosis show, this for example will not be shown of a TV production, under the misconception that people watching at home could be hypnotised, details can be learnt from a course run by Phillip Holt on becoming a stage hypnotist (click here), but suffice it to say, the “stars of the show” are willing to go onto the stage, to be part of the show. If you have been to a stage hypnosis show, you will have seen that we could have many volunteers going onto the stage, to become the “stars”. Then the stage hypnotist, will begin to pick out certain people, inviting those he does not want, to go back into the audience and enjoy the show, he will typically want ten “stars”, but I have been able to perform a show with just one “star” on stage. Each of these “stars”, are there on stage willingly. "But they do outrageous things”. They are there willingly, and they will not do things asked of them should they so wish not to do so. I remember one successful show, where I picked some of the “stars” to perform certain actions when a particular piece of music was played. On the sound of the Rolling Stones music, one “star” would become Mike Jaggar and dance around the stage like him, another “star” on the sound of a song of Elvis, would become Elvis Presley, and mime to the music as if he was Elvis. When the music played, Elvis, just sat there. I tried again, still he sat there, and so I carried on with the show. Afterwards, I asked the person, the “star”, was he OK, why would he not dance and sing like Elvis? He said that in his religion, men do not do such things. So, you cannot make someone do something they do not want to do. “But people just do the things, they are unaware of what they are doing”. I remember my first experience of a stage hypnotist, Paul Goldin, performing at a small theatre in Peterborough in the UK. He stated he was not a hypnotist, so I went on the first night of a five night run at the theatre, I did not know what to expect. In fact, I was disgusted by the things Paul was asking his "victims" to do. Milk a cow? How could he? But how was he doing this? What was he doing? Surely, the victims were known to him, they were stooges. I went the next night, and noticed that he was performing the same routines, but with different "victims". He could not have so many stooges. I was not now so disgusted at what he was asking people to do. But what was happening? How was he getting people to do what he wanted them to do? I decided to watch and learn. I went for the next three nights, watching and learning. I took with me a guest with me each night but on the fifth night I took two girls, Pauline and Joyce, who worked for me in the computer department of Peter Pan Playthings, a toy manufacturer. Pauline, a lovely lady, did have a rather loud voice, and chatted away most of the time, involving all around her. On this night I decided that I needed to experience being a “star” on stage, to be hypnotised myself. So, when asked, I joined the other potential “stars”, and as luck would have it, I became one of the selected ten “stars”. The first thing I noticed, was that I was totally relaxed, by listening to Paul Goldin’s voice and following his suggestions, I did not care about five hundred people looking at me, in fact, when I closed my eyes, all the audience disappeared from my vision. I noticed that his voice was soothing and relaxing, and the things he started to ask us to do were easy, and not too outrageous, I was willing to go along with him. I was gaining trust in him, I was willing to follow his instructions. As the show went on, we were asked to do more and more complicated, and funny things, as “stars” we were willing to follow his suggestions, he was trustworthy, we were willing to comply. As Paul was setting-up certain routines, I realised that he was providing us with more information off microphone, unheard by the audience. “Make the sounds of a chicken.” “Speak like a Martian”. I heard everything Paul said and more, as he spoke to other “stars” on stage I heard him. During the interval, some twenty minutes, Paul had the “stars” stay on-stage, sitting in a relaxed state, with arms and legs all over the place, and I sat there, not moving a muscle. How could I sit for so long without aching? I must be comfortable, relaxed. I was totally aware of what I was being asked to do. Then, after about ten minutes into the interval, I heard familiar voices, those of Pauline and Joyce. How could I, they were halfway up in the auditorium, and there were other people out there speaking. I found that I could hear more in this relaxed hypnotic state, and than I normally could, I “tune-in” to specific sounds and sources of sounds at will, especially Pauline’s. Not only that, I then realised that you can see more during this relaxed hypnotic state, and certainly I was more aware of my own internal feelings. In other words, in hypnosis we focus on one particular thing, for example the hypnotists voice to the exclusion of all other distractions. When in a trance, say looking or watching a film on the television, our focus of attention is locked into the screen. Have you ever been watching and being totally absorbed in a film, then someone has spoken to you, and you never heard them? They had to speak to you twice or more to get your attention. Have you ever been or seen someone daydreaming? Your mind is somewhere else, perhaps thinking about a forthcoming holiday, or fanaticising about something, making castles in the air. In that state you have missed something happening around you. Have you ever been watching television, and the program has been boring, you had no interest in the subject, and your mind wondered off, and you missed a section of the program. Then you have been in a trance. Trance is a naturally occurring state of mind that we all go into many times a day. And yet, you are in control at all times. Should anything happen, you can deal with it. “When I close my eyes, I will go to sleep, and when I wake up, I will not know what has happened”. I call this statement, going to “Never, Never Land”, just like Wendy and her brothers in Peter Pan. Hypnosis is not sleep. You probably heard the hypnotist say the words, “sleep”, click his fingers, and the subject closes their eyes. Do they go to sleep in reality? No. They close their eyes, so that all distractions are removed in the visual modality, - there are five modalities, vision, auditory, kinaesthetic (feeling), olfactory (smell), and gustatory (taste), - so that the subject can focus on the voice of the hypnotist to the exclusion of all others. They will hear more, they will feel more, and with their eyes open they will see more. Why yes, you can be in a hypnotic trance with eyes open. You have seen people and done it yourself, staring at one spot or item, or no particular thing. “I have been told not everyone can be hypnotised”. It is true. No one can hypnotise you unless you are willing to be. But, every person can be hypnotised to enter some state of relaxation or trance. Where people fail to enter into a trance is not that they cannot be hypnotised, but they were unwilling to be hypnotised, or that the hypnotist was not flexible or adaptable enough to help the subject enter a state of relaxation and trance. Trance or hypnosis is a state. It is just like the state you enter into just prior going into sleep. We, as humans, go through many states during our day. These are normally broken down into Beta, Alpha, Theta, and Delta states. Beta, is where we are totally awake being fully absorbed, active, running, jumping. Alpha is where we are more concentrating, absorbed, studying. Theta is where we are perhaps daydreaming, totally relaxed, entering into a sleep like mode. Delta, is deep sleep, a sleep where we dream, where you will notice eye movements below the eyelids called REM (Rapid Eye Movements). All these states can be measured by the changes in the brain waves. We all drift in and out of these states all day, and others influence us to go into these states by their talking, their communications with us. Can you remember being at school listening to the teacher in that boring subject? For me it was history. My eyes would get heavy, I would yawn, the second hand on the clock would begin to slow down, my mind would wonder off, thinking about other things. Why? The teacher’s method of imparting information sent me into an altered state. I remember as a small boy, my mother calling me in a soft singing voice, “Phillip”. I knew that she was baking a cake, and that she was calling me to lick the bowl of the cake mix, I became relaxed, skipping into the kitchen, with a big smile on my face. Yet she would call me another time in a low loud voice, “Phillip John”. I knew I was in trouble, I entered a fear state, and it was time to hide, not to get a smack, to be told off, as I must have done something wrong. Have you ever read a story to a small child at bedtime, or remember the time when you were a small child and had a story read to you? What happened? Sleep was induced; the child went into a deep relaxed state of sleep. Was the story read in a provocative manor, in an aggressive way? No it was read in a soothing, quiet, soft voice. We all influence others states in what we do, what we say, as they do with us. So congratulations, you yourself are a hypnotist. You did not know? Have you ever thought who else may be a hypnotist? What about, film producers? You have watched firms where you laughed so hard, your sides ached, you have watched films where you were frightened, and I know you have watched films where tears have come to your eyes. What about actors on stage? I am totally absorbed by Chitty Chitty Bang Bang on stage in the London Palladium theatre, or The Phantom of the Opera. My state changes as scene by scene is enacted. What about religious leaders? Have you ever thought why hypnosis has been said the work of the devil? It is because religious leaders use hypnotic techniques to alter the states of the worshipers in the congregation. Watch the evangelists, take some time to compare the work of a stage hypnotist and the evangelist, listen to the words used, look at their actions, are they not the same. Notice the laying-on of hands of the evangelist as those receiving the spirit, falls back into the arms of the evangelist. Is it not exactly the same as the quick falling induction of the stage hypnotist, and is it not true that both subjects drop into a sleep like state. They use such techniques as, expectation. The congregation will be entering a religious state. They use conformity. The congregation will stand and sit at given commands or situations. They will guide the congregation with their sermon or readings from the scriptures. The will use repetition of words, or chanting, in the singing of hymns. Lastly they will use what I call “eyes closed process”, in the prayers, and guide the congregation into an altered state. If this is done on a regular basis, for example Friday for Muslims, Saturday Jews, and Sunday for Christians, where congregations meet to listen to religious leaders to be preached at, then those that attend can become brain washed in the belief what is being said is the truth. If you tell someone enough times an untrue fact, then that person will become to believe that the fact is the truth. All research indicates that brain washing needs to be carried out over a period of time. So, is hypnosis dangerous? The simple answer is no. As stated above, you are in control at all time, and you cannot be made to do something you would not wish to do against your culture, your religion your beliefs. You have to be willing to participate. Can you be influenced? Yes. Politicians, world leaders, mothers, fathers, children, teachers, all influence others. Have you ever watched a big strong hulk of man, become putty in the presence of a baby? We all influence each other in what we say what we do, we change each other’s, and our own, state all the time. It is the job of the hypnotist to help a willing person enter into an altered state of relaxation a “sleep” like state. It is in that state that the client can make changes required should they so wish with a hypnotherapist, it is not the hypnotist that makes the changes but the client. It is in this state that the “star” of the show in a hypnosis stage act is led to situations where they can enact certain situations should they so wish. Like any profession, there are the good and the bad. There are good and bad accountants, there are good and bad law enforcement officers, there are good and religious leaders. We have all seen news of wrong doings in all professions including the church. There has never been any proven negative medical outcome after an induced hypnotic trance, and court cases in many countries will verify this fact. Yet there remains a misconception that hypnosis is manipulative an evil thing. Perpetrators of such ideas, have not studied nor have an understanding of the way the human brain and psyche works, only their bigoted ideas. They fail to understand how hypnosis can only serve those who could benefit from such, in the hands of a qualified practitioner. Should you wish to seek a hypnotist, research like you would a dentist, doctor or accountant, ask to see their credentials. Ask and seek references. And, have an open mind.